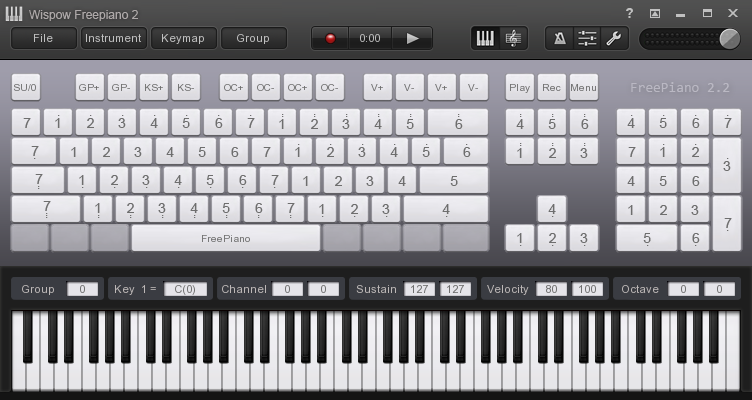 FreePiano is a opensource software that can let you play music with your computer keyboard. Completely free, you do not need to purchase to use all the features. Using VSTi, you don't need to install a virtual MIDI device. Support a variety of audio output, including DirectSound, WASAPI and ASIO. You can define any key on the keyboard and display functions. Multi sets of keyboard layout can be switched anytime during play. Export your song to mp4 directly.